Corporate Benefit Partners is a privately held employee benefits brokerage & consulting firm based in Boca Raton. 1. We work only for our clients. 2. We believe in complete market transparency and compensation disclosure. 3. We are strategically focused, offering a multi-year plan to improve the value of employee benefit plan offerings. CBP is independent, without ties to specific products, programs, or companies. 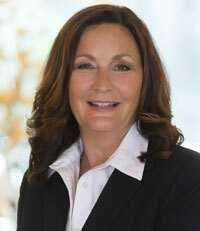 Connie Chiara is President and CEO of Corporate Benefit Partners, an employee benefits brokerage and consulting firm based in Boca Raton, Florida. CPB offers an extensive service platform with specific expertise in helping clients to create greater value from their employee benefit programs. Connie is a VISTAGE Florida Resource Speaker and a Speaker for the Society for Human Resource Management (SHRM). Her signature seminar, “Negotiate Your Best Possible Price” is approved for individuals seeking SHRM Credit and has been presented to both the Broward and Palm Beach County Chapters as Workshops. Connie is a recipient of the South Florida Business Journal’s “Influential Business Women” Award and the Extraordinary Women Leading Change “Spark Award”.